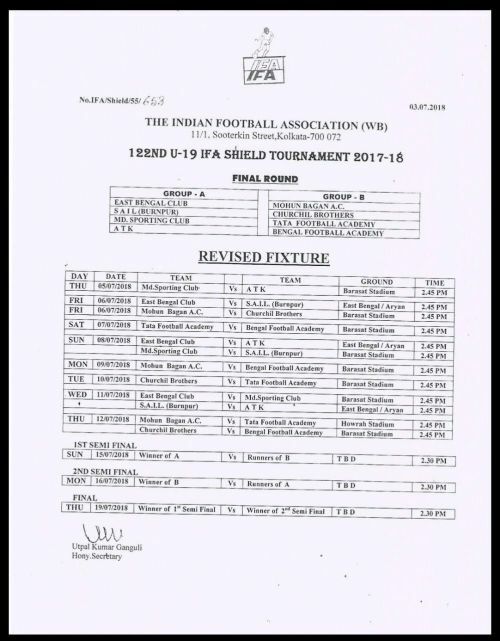 The revised fixture list of the 2018 IFA Shield has been released with ATK and Mohammedan Sporting playing each other in the first match of the competition. The IFA Shield is the oldest footballing competition in India. Started 125 years ago, the Shield worked as a sporting competition for British India. Initially, the shield was dominated by English sides before Mohun Bagan finally broke their monopoly and became the first Indian side to lift the shield. Since then, Mohun Bagan and East Bengal have been the most decorated sides of the IFA Shield. In 2015, however, the IFA Shield was redesigned as a U-19 tournament in order to incorporate the I-League, ISL, and the federation cup. The revised fixture list of the 2018 IFA Shield is out after defending champions FC Pune City pulled out of the competition. The reason given by the Pune hierarchy is a clash of dates, as many players and staff members are away on an annual holiday. 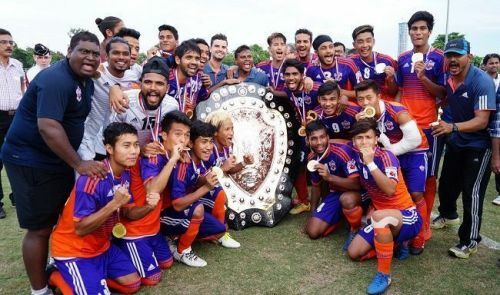 FC Pune City will be replaced by SAIL Burnpur Football Academy U-19 side in the competition. According to the revised fixture list, East Bengal, Sail, ATK, and Mohammedan Sporting will make up Group A. On the other hand, Group B will contain Mohun Bagan, Churchill Brothers, TATA Football Academy, and Bengal Football Academy. ATK and Mohammedan Sporting will begin the tournament on July 5 by playing the first match. The Final of the 2018 IFA Shield will take place after ten days, on July 15. With the defending champions out of the competition, the 2018 IFA Shield will see a new team being crowned. All eight teams will be giving it their all to win one of India's most prestigious football tournaments. Which side do you think will win the 2018 IFA Shield? Do let us know in the comments below.